Keith Rathbun, publisher of the Ohio-based Amish newspaper, the Budget, isn’t worried about the threat to newspaper sales posed by the internet, reports the Associated Press. While the paper does have an online presence, http://www.thebudgetnewspaper.com/, only local news briefs are available. Related: British journalism student Jessica Best undertook a two week internship at the paper earlier this summer with the aid of a travel grant, and shared some of her interpretations on her blog. This entry was posted in Editors' pick, Newspapers, Online Journalism and tagged amish, Associated Press, Jessica Best, Keith Rathbun, non-electric internet, Ohio, online presence, sugarcreek, the budget, travel grant on August 18, 2009 by Judith Townend. A series from Poynter on ‘what to do before the axe falls’ starting with creating an online presence and backing up your work contacts. This entry was posted in Editors' pick, Job losses, Journalism and tagged online presence on January 7, 2009 by Laura Oliver. 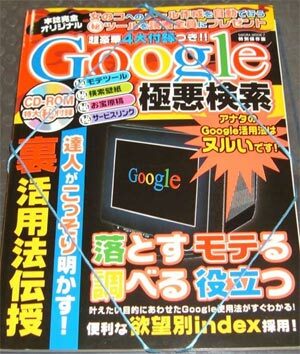 Google to go glossy with magazine patent? Google has patented a DIY publishing service for magazines, according to reports from TechCrunch. But, and I realise the patent was filed 18 months ago, it’s curious for Google to be contemplating what is essentially a traditional print medium given its all-singing, all-dancing online presence. This entry was posted in Online Journalism and tagged google, Matt Hickey, online presence on November 20, 2007 by Laura Oliver.